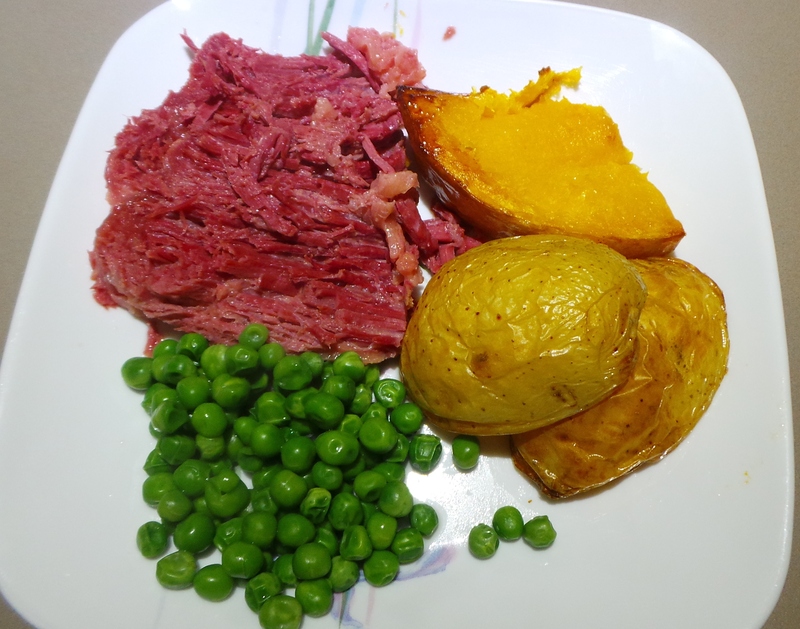 Corned Beef is one of those dishes that seems to have become a regular on my family meal rota – which is strange. When I was a child I hated the stuff with a vengeance. 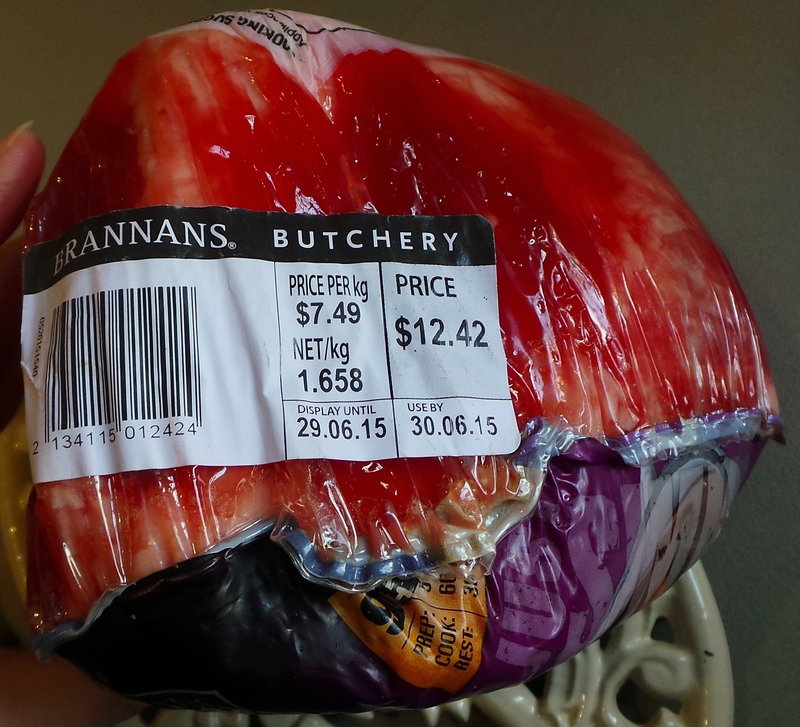 Although I could be persuaded to eat it if, and only if, my mother was calling it Cane Cutter’s Ham. I then lived alone for several decades and only attempted to cook it twice during that period. Both times were for visits by my step-father and, while he said it was great, I thought it was less than ordinary on both occasions. I’ve got better at it in this stage of my life. Firstly, I’ve stopped cooking the vegetables that accompany it in the same pot as the meat. This means that there is a different flavour for everything on the plate, instead of a meal-wide sameness that resembles the next step to gastronomic zombieville. I’ve also started adding a few more flavourings to the pot, some of which elevate the dish to heavenly status. The best part is that I inevitably have enough leftover to make several more meals from the same piece of meat: fritters and almost fried rice spring to mind, it’s also a nifty addition to pasta bakes or on lunch box sandwiches. One and a half kilos of meal options. I inevitably cook mine in a slow cooker but it can, of course, be cooked on the stove for a much shorter time. I like being able to put it on to cook of a morning and then walking away for the rest of the day until I’m ready to serve it up. Go with your muse on this one. 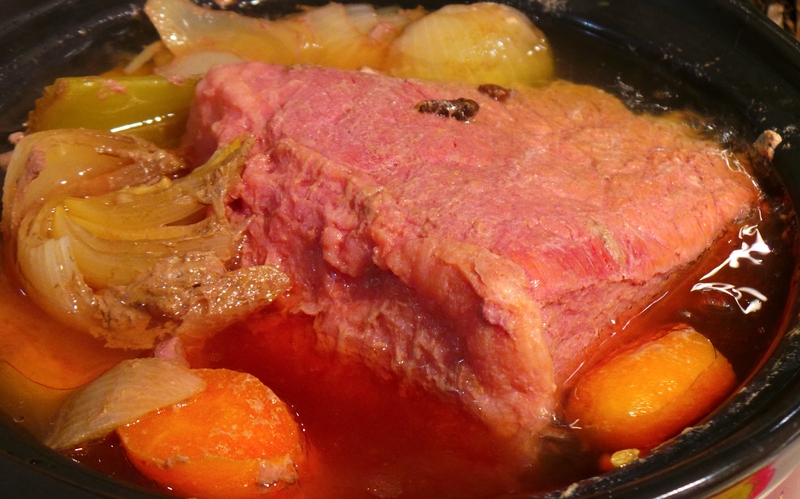 So, to cook a piece of corned beef, you first need to find a pot big enough to put it in. Make sure it’s one that will take the beef, any flavourings you may use and enough water to cover the lot of it. 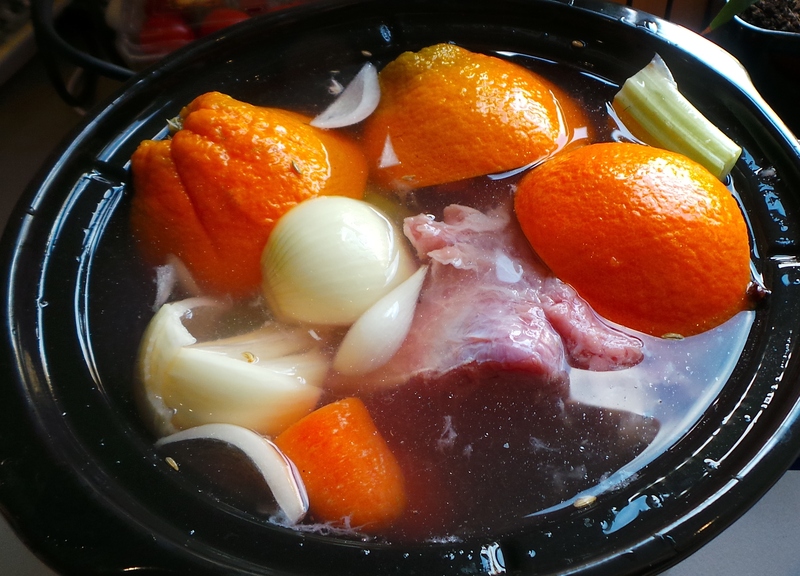 In the photograph, I’m using a 3 litre slow cooker that has a tall, narrow crock. First find a roomy pot. I know it looks kind of yucky. This one was vacuum packed and had a fair amount of jelly around it. Don’t wash it off, just put the whole lot into your pot. Now, generally, I would put the flavourings in first and then add the meat, But I didn’t do that for the pictures. I’m sorry if it confuses anyone. Also, none of the vegetables I’m about to add to the pot are destined to be eaten. They’re simply there to add flavour to the meat. 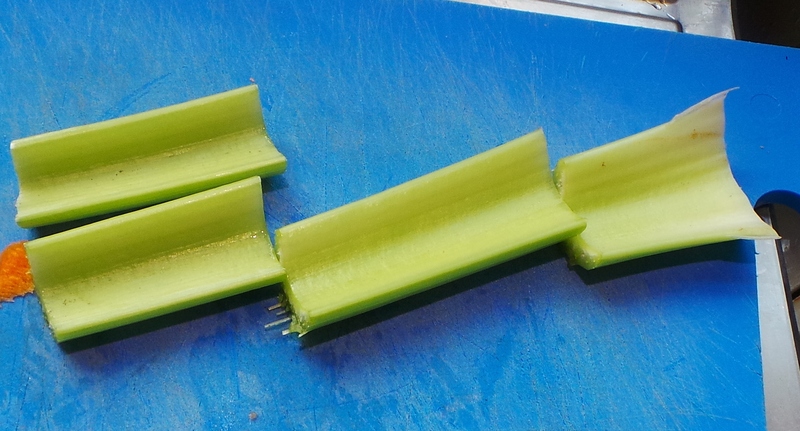 To the pot I add a stick of celery, cut into largish bits. 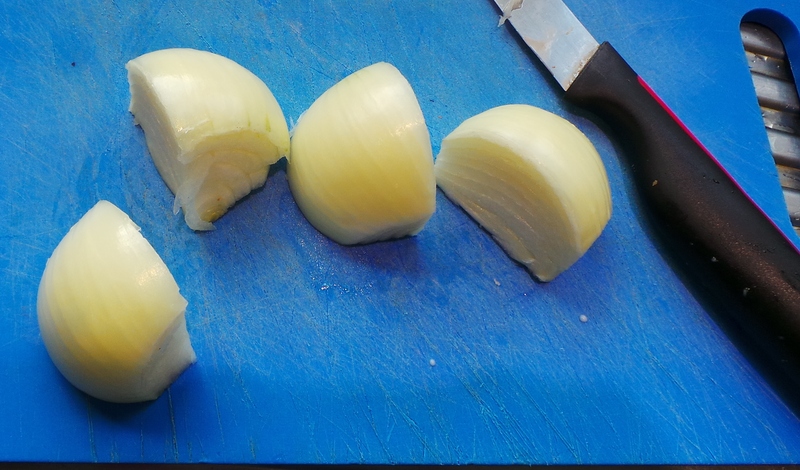 Then an onion. All of these may be kept whole if you have the room in your pot. Now add 6 peppercorns or 6 whole cloves. If you’re keen, you can add both. My mother would stud the onion with the cloves, but I don’t have the dexterity for that. 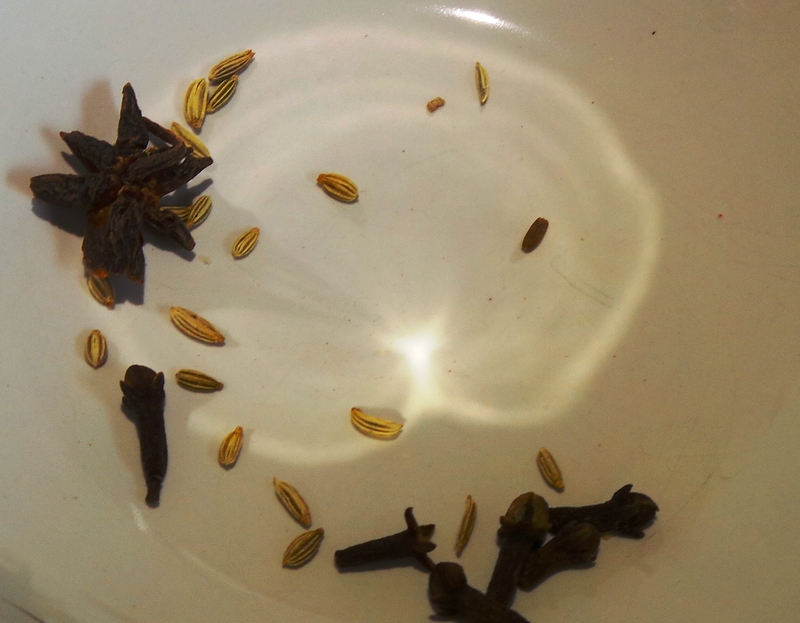 I also add some fennel seeds and a star anise. Then a tablespoon or so (a glug) of apple cider vinegar. And then the piéce de resistance! 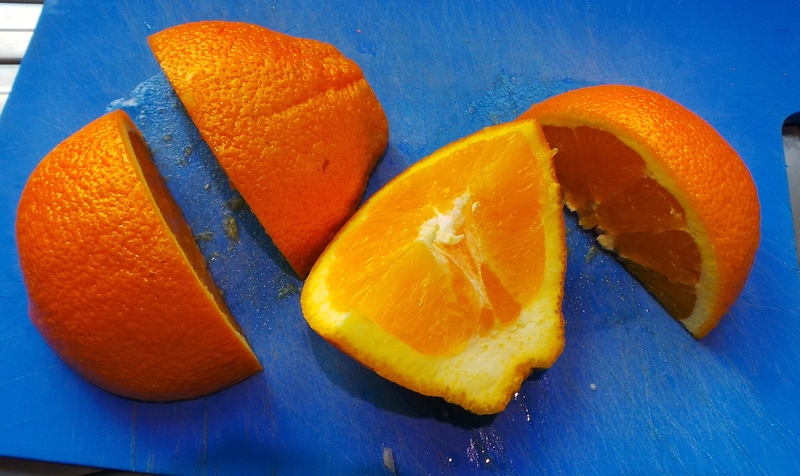 An orange. This will add a certain something that will lift your corned beef into the stratosphere of flavour. Trust me on this. Now pop in a Bay Leaf and cover with cold water. Put the lid on and cook on LOW for 6-8 hours or HIGH for 4-6 hours. Your kitchen will start to smell amazing. I promise. The meat does tend to dry out a little once sliced, so I simply spoon a couple of tablespoons of the cooking liquid over the meat on the plate. Not enough to drown it, mind! 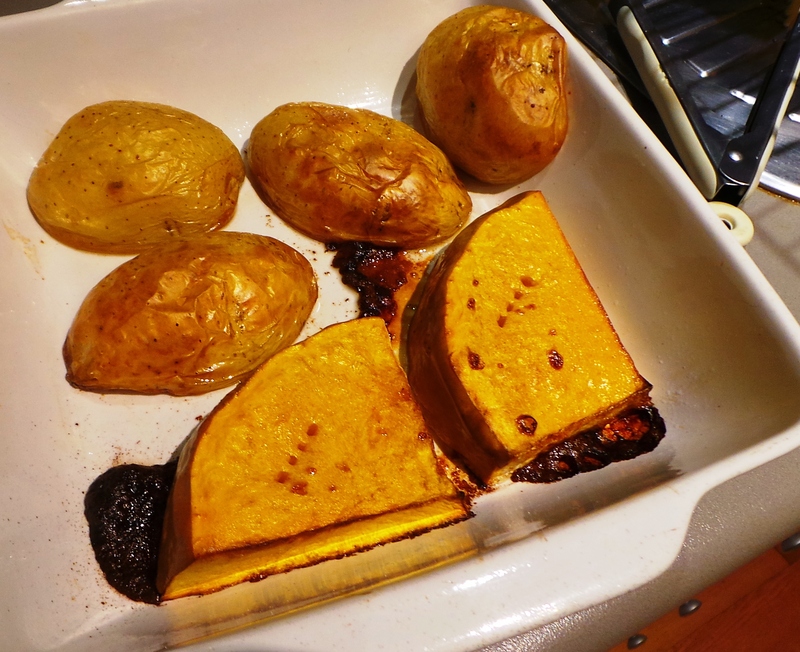 It keeps the meat moist and gives a further hit of flavour. Add all the ingredients to a pot large enough to hold the meat and flavourings. 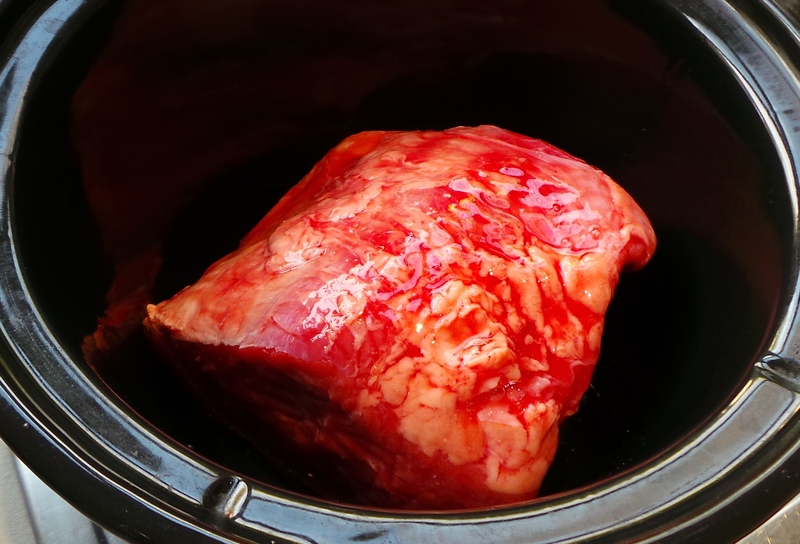 If using a slow cooker set on LOW for 6-8 hours or on HIGH for 4-6 hours. 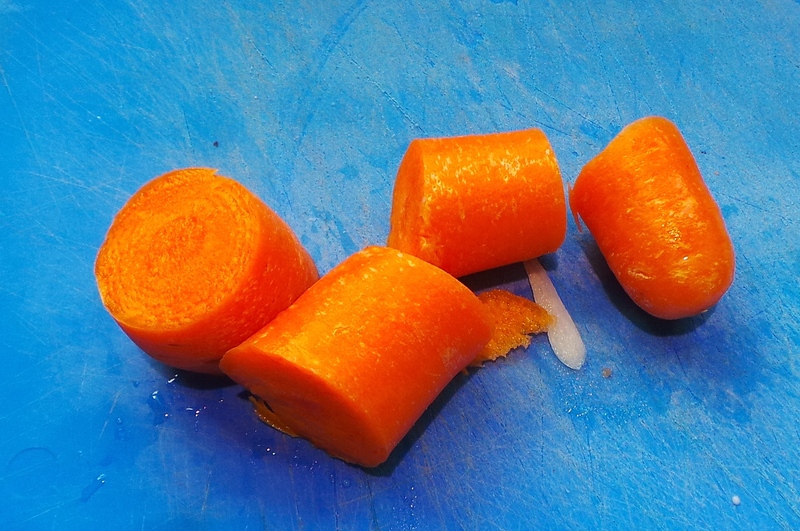 When cooked to your preference, remove from water, slice and serve. May be served with a mustard sauce or with some of the pot juices spooned over the meat. This recipe will work for any pickled or salted cut of meat. 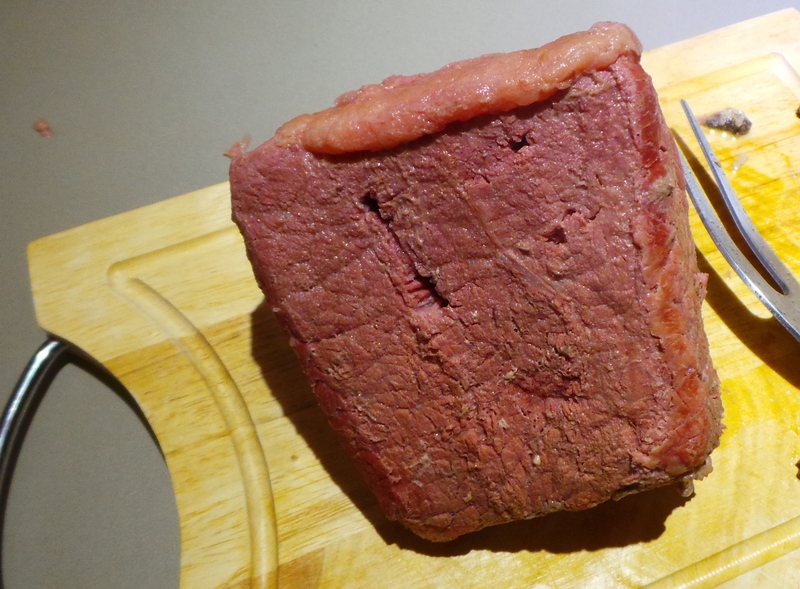 In my house mr 11 & miss 15 call silverside yummy meat, very popular. Leftovers turn into yummy meat and cheese pies!